Each day on the ride to and from school I try to engage my girls in meaningful conversation about their day. Like most parents, I want my kids to know they can come to me to discuss anything at any time, and I work very hard to establish that expectation. I also want them to be in tune with and in control of their emotions and actions. Helping them to process, challenge, and assess their daily interactions is a great lesson in self-awareness. The biggest challenge we can face as parents in getting our children to share freely is our approach. Tone of voice, choice of words and timing of the questions can make the difference between a kid who opens up and one who completely shuts down. To converse more with your tweens and teens ask open-ended questions at times when they are alert and not stressed. The following conversation starters can be posed on the ride to school to prepare your child’s mindset for the day. How will you be a leader in your class today? What are you looking forward to the most at school today? 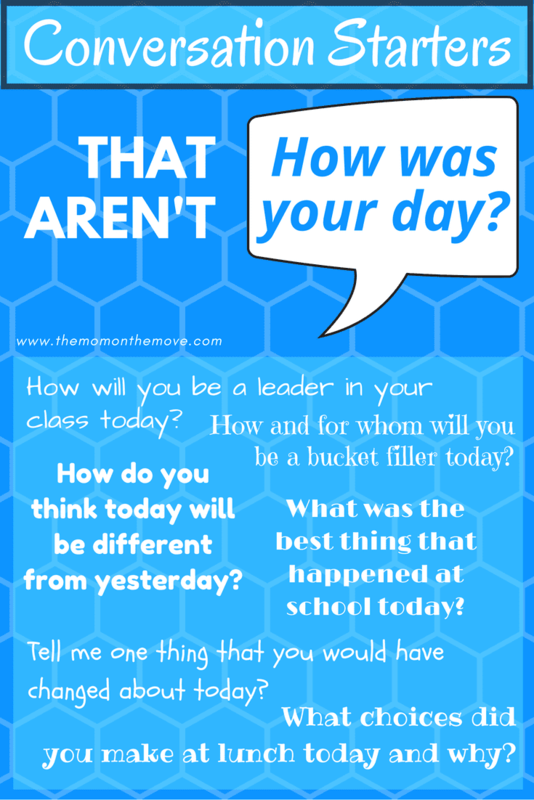 How and for whom will you be a bucket filler today? How do you think today will be different from yesterday? What assignment/subject do you think about the most and why? The following conversation starters can be posed to help your child distill and debrief the occurrences of their day. What was the best thing that happened at school today? Tell me one thing that you would have changed about today? What choices did you make at lunch today and why? 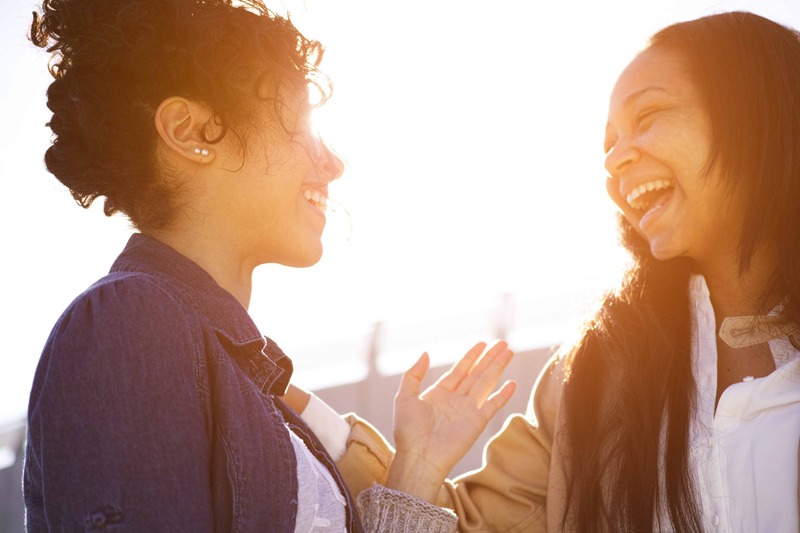 Share with me how someone who made you feel good about yourself. Compared to the beginning of the day, how full is your bucket at the end of the day? What conversations starters do you use to engage your children in more meaningful discussions? I see you don’t monetize your site, don’t waste your traffic, you can earn additional bucks every month because you’ve got high quality content. These arare great! I will have to use some of these with our new kindergartener. Yes! They work at any age! Thanks Erin! Glad you liked it! If we don’t help our kids process, life will do it in unhealthy ways. I love that you included questions for on the way home AND on the way to school – such great options! I try to change the question every day and to also ask the same questions in different ways. Today I asked, “What word did you hear the most in class today.” Just try something different.